As home prices continue to climb, home equity loans and lines of credit are becoming potential sources of extra cash for a growing number of homeowners. But tapping the value of your home is something that should be done very cautiously and for a very narrow set of reasons. A decade ago or so, way too many homeowners were yanking cash out of their homes like they were bottomless piggy banks to fund affluent lifestyles they couldn't really afford. Those reckless borrowers paid the price when the housing bubble burst, property values plunged and they lost their homes. So, if you're thinking about taking out a home equity loan or line of credit today, take a savvier, conservative approach. Our 4 smart moves for using home equity will help get you started. Smart move 1. Choose the type of loan wisely. A HELOC works more like a credit card. It makes a certain amount of credit available on an as-needed basis for a limited term, such as five or 10 years, followed by a repayment period of up to 20 years. It has an adjustable rate that changes with the market. But since today's interest rates have almost nowhere to go but up, a HELOC's variable interest rate could end up costing you much more over the loan term than a home equity loan's fixed rate, even though the fixed rate is higher initially. Lenders can freeze or reduce your line of credit without warning if they learn of a change in your financial circumstances or a drop in your home's value. That means you can't always count on a HELOC to be there when you want to use it. For either option, you'll need to provide full documentation of income and assets. 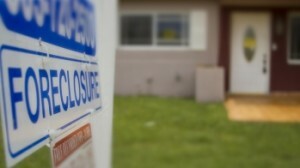 Your lender may or may not require an on-site appraisal, depending on how much you want to borrow and other factors. To get the best interest rates with most lenders, you'll need a credit score of at least 740. Big banks typically add the value of the home equity loan or line of credit you're seeking to the balance of your primary mortgage to see if you'll retain at least 10% to 30% equity in the property. If not, your application for a second mortgage will be turned down. The nation's largest credit union, on the other hand, will let qualified members borrow up to 100% of their home's value, leaving them with zero equity. And while not everyone is eligible to join Navy Federal Credit Union, anyone can join Pentagon Federal Credit Union, which lets homeowners borrow up to 90% on some home equity loans. That means if your home appraises for $300,000 and the balance on your primary mortgage is $200,000, you could borrow up to $70,000 with a home equity loan or line of credit and still retain 10% equity, or $30,000. RATE SEARCH: Shop home equity rates. Smart move 2. Make sure you know how these loans work and what the payments will be. 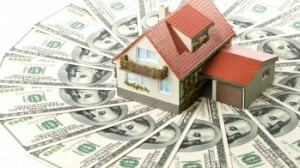 Whichever type of financing you choose, home equity rates are still historically low right now. And since home equity loans have a fixed interest rate and term, this monthly payment calculator can figure out your repayment plan. HELOCs are more difficult to predict because the interest rate changes over time and they usually offer some flexibility in how you repay them. Most HELOCs require low, interest-only minimum payments for the first 10 years while the line of credit is open to use. But in the 11th year, the line of credit is closed, and the principal must be repaid over the next 10 to 20 years. A better option is to pay back the loan quickly to minimize the amount you pay in interest, get rid of the monthly payment and eliminate the risk of having your home as collateral for a secondary purchase. Our line-of-credit calculator can help you do the math and determine how long it might take to pay off your credit line. During the housing bubble, consumers used home equity borrowing to pay for everything from boats and gambling junkets (clearly bad) to cars and kitchen renovations (not so bad). The problems these homeowners experienced during the financial crisis and recession taught us that even some "not so bad" spending should be scratched from our list of acceptable uses. So, while we used to say that financing a car with a HELOC was OK, we no longer believe that. Besides, auto loans are now one of the few types of consumer loans that are cheaper than home equity loans or lines of credit. Ditto for discretionary home-remodeling projects. We now think savings is the only prudent way to pay for renovations such as updating a kitchen or bathroom. Now, if you lack the cash to make essential repairs that your family's safety or your home's structural integrity depend on, then home equity borrowing makes sense. We're talking about fixing things such as a worn-out roof that's leaking and causing water damage or faulty wiring that can start a fire. With rising college tuition and borrowing costs, you might be tempted to use home equity to pay for your child's tuition. The interest rates can be lower than those on student loans, especially private student loans and PLUS loans. A cash-out refinancing on your first mortgage could be even less expensive, since first mortgage rates are below home equity loan rates. 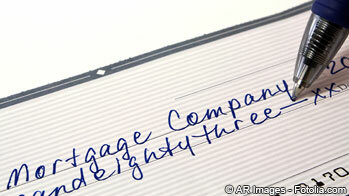 You'll need to compare the interest rates and closing costs to see which option is cheaper. And if you're considering putting part of a semester's tuition on a credit card and carrying a balance, using a HELOC to manage short-term cash flow is a much better option. Finally, it still makes sense to use a home equity line to pay off all of your high-interest credit cards and repay that debt at the home equity line's lower interest rate. You'll get out of debt faster by taking all (or at least most) of the money you needed to keep up with your credit card bills each month and sending it to your home equity lender instead. Our debt consolidation calculator shows how much you can save and how quickly you can become debt-free. 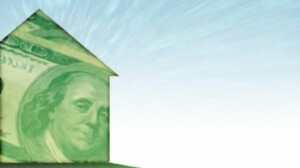 RATE SEARCH: Compare home equity rates.